It’s that time of the year where you might want to be spending more time outdoors than within the four walls of your home. The best (private) place to chill has to be the pool area. Not only you, but friends and family can have a great cook out and cooling session for hours on end. 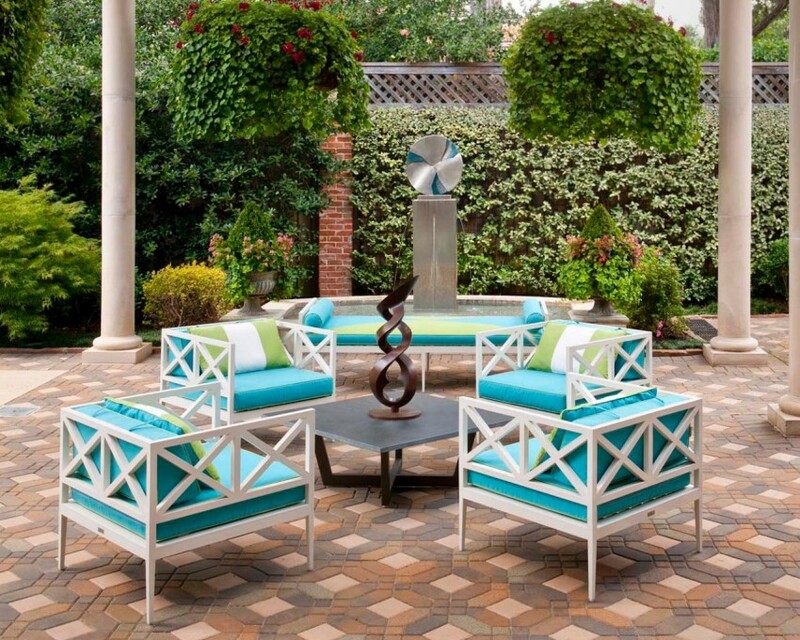 Since you plan on having a lot of people around the pool, why not come up with some new-looking furniture to make the entire outdoor décor look summery and playful? Here are some awesome summertime DIY furnishing ideas by the pool. Enjoy! Summers are the best time for colourful plants to be in full bloom. Imagine combining pottery with seating arrangements? This brilliant idea by funkyjunkinteriors is perfect for the pool area, because it involves concrete that won’t get affected by moisture, and also helps to water the plants. 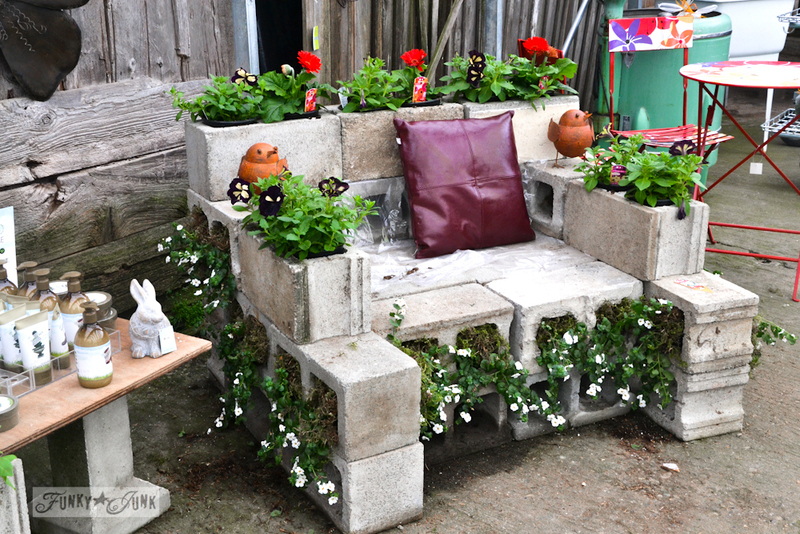 Just arrange concrete blocks in the form of a chair and plant your favourite saplings. 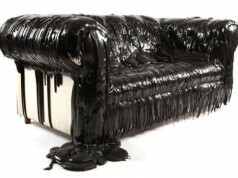 Though it may seem uncomfortable at first, you can add soft, multi-coloured cushions for a lush love seat. Beer by the pool? No problem! 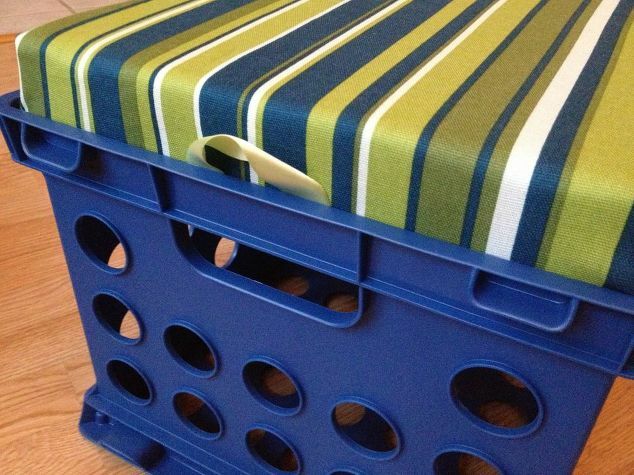 Taking recycling to a cool new level, the next time you order crates of your favourite lager for you and your guests, you can save up the plastic bottle holders and redesign them as stools! 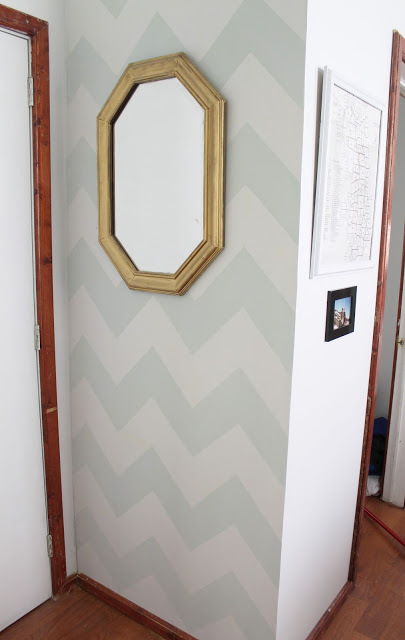 Just use a thin but sturdy sheet of plywood, cut it to shape and glue on a cushion. Voila! You have the perfect companion with storage underneath. Have any old plastic chairs lying around? 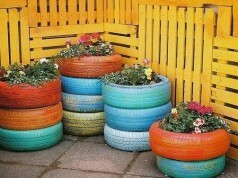 Well, you can give them new life by repainting them. Go crazy – patterns, pastels, colour swaps and everything in between. 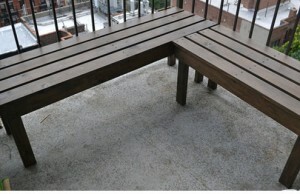 The best part about these chairs is that they are durable and can be left out for days on end without getting spoilt. 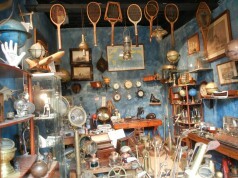 They’re also really affordable and come in a variety of shapes and sizes. 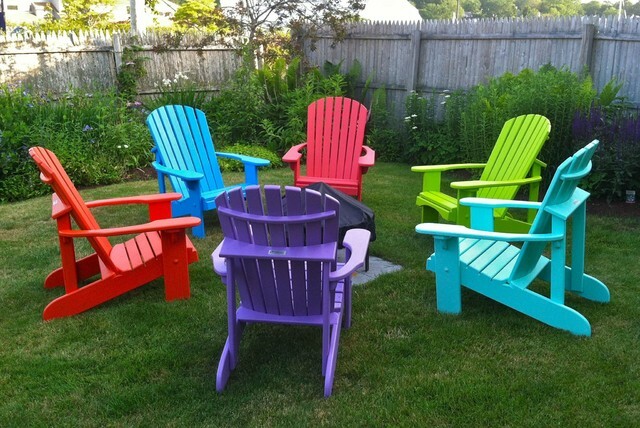 Just paint over them and there you have it – new furniture for the poolside!